NFTS graduation animation, Solar Plexus directed by David McShane, written by Jessica Sinyard and produced by Paida Mutonono compete for the prestigious short film Palme D’Or at this year’s Cannes film festival. 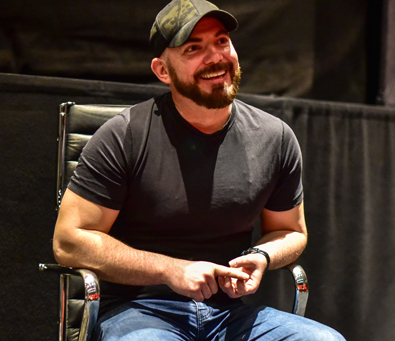 The NFTS was alive with excitement and warmth as NFTS students welcomed Oscar-winning Production Sound Mixer Mark Ulano to deliver an engaging and inspirational masterclass and Q&A session. Mark, who has over 140 credits to his name, is famed for his production sound design work for films such as Kill Bill, Django Unchained, The Hateful Eight and Titanic - for which he won an Academy Award for ‘Best Sound’. 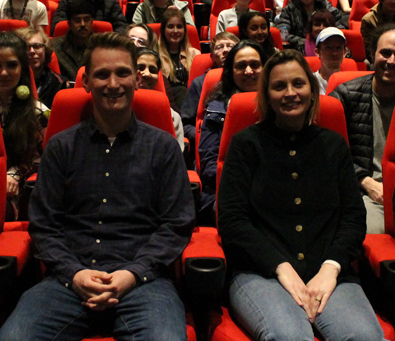 NFTS and BFI Film Academy students were treated to a preview of Wild Rose followed by an inspiring Q&A with its producer Faye Ward and director Tom Harper. We are extremely proud of our Games department which has received no fewer than three nominations in this year’s Grads in Games Awards! 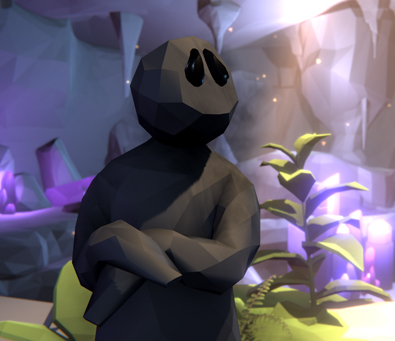 The School is nominated in the following categories: ‘Educational Institution’; ‘Industry Collaboration’ for the School’s work with Supermassive Games and ‘Student Game’ for Misfolded by recent NFTS Games Design and Development MA grad, Tim Kaufmann. Melting Pot, a show created by NFTS Directing and Producing Television Entertainment MA students, has been optioned by Zig Zag Productions, one of the UK’s foremost independent television production companies. Welcome to our latest NFTS story, a series of blogs featuring our alumni talking about where they were before they came to the School and where they are now (follow the series by using the #NFTSStories hashtag across Twitter and Instagram). Gillian Simpson graduated from the Digital Effects MA in 2017 and has since worked on Wes Anderson’s Isle of Dogs. Following a special preview of stop motion animation studio, LAIKA’s new feature, Missing Link, NFTS students were treated to a Q&A with the film’s director and writer, Chris Butler. Missing Link is Chris’s follow up directorial feature for LAIKA after Paranorman, which was nominated for both an Oscar and a BAFTA for ‘Best Animated Feature’. Representatives from the AHRC Creative Industries Clusters programmes, many of whom are focussed on immersive storytelling projects themselves were invited to take part in a specially created StoryFutures Academy Writer’s Lab: Creative Clusters Collaborations. Welcome to our latest NFTS story, a series of blogs featuring our alumni talking about where they were before they came to the School and where they are now (follow the series by using the #NFTSStories hashtag across Twitter and Instagram). Bob Aronds just graduated from the NFTS Assistant Directing and Floor Managing Diploma and has already worked on feature films, Netflix shows and BBC shorts! The NFTS announces it has appointed Caroline Hollick, Channel 4 Head of Drama; Pukar Mehta, ITV Studios Commercial Director; Sara Geater, All3 Media Chief Operating Officer and Siobhan Reddy, Co-founder and Studio Director of Video Game Development Studio, Media Molecule to its Board of Governors.